Historic treasure loaded with space and charm. This historic treasure is located in the heart of Forsyth, Montana. It is as quaint as the town itself and boasts beautiful, restored features throughout. When you enter the home it is impossible not to smile from the hardwood floors, stunning woodwork, and the overwhelming feeling of "home". With 4 bedrooms, 3 bathrooms, formal dining, sun room, heated and cooled front porch, two living spaces, laundry room, a unique, spacious attic, and a 1,700 square foot basement that hosts a coal stoker, extra bathroom, and workshop, there is no shortage of space. If that weren't enough, there is another 2 bedroom, 1 bath home on the property that serves as a perfect rental or guest house. The yard is easily kept with underground sprinklers and a water source to the two garden locations. The patio even has a natural gas line for a BBQ grill! 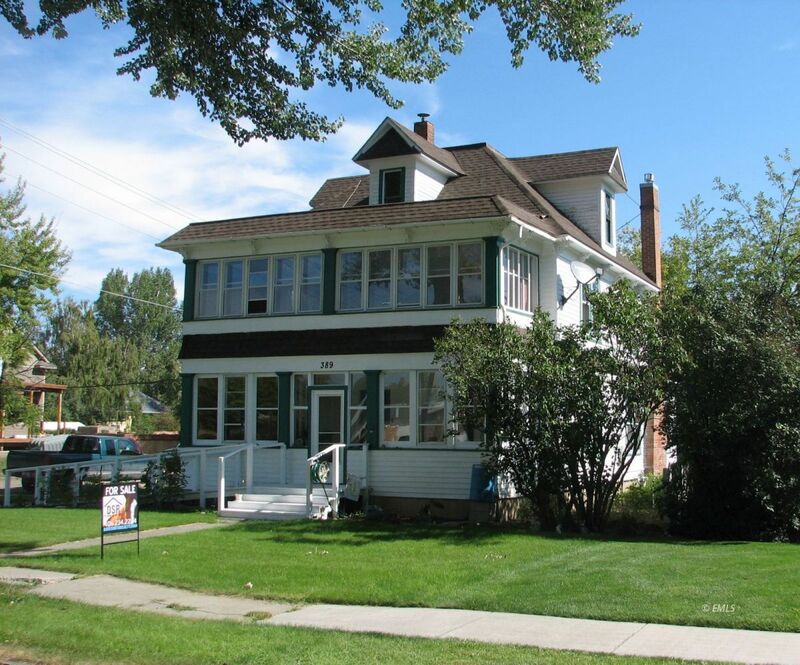 This home is also a rare gem in the aspect that it is on the national historic register, yet has had all of the wiring and plumbing updated, central air installed, and it has been lifted and placed on a new foundation. Don't miss the opportunity to make this yours!